According to ABI research, 8.2 million Bluetooth Beacons have been shipped. In 2021, the yearly shipments will have increased to an astonishing number of 565 million beacons per year. The Bluetooth Beacon Interactor for Windows 10 is a free & open source app for scanning your environment for Beacons. It was the first Bluetooth Beacon scanner app available for Windows 10 and works on PCs, smartphones and even the Microsoft HoloLens. URLs in Eddystone URL frames are now clickable. You can directly open the web site linked to by Physical Web beacons. Thanks to a community contribution by kobush, the app now also supports beacons compatible to Apple iBeacons / Proximity Beacons. You can download the source code of the Bluetooth Beacon Interactor and its base Universal Beacon Library at GitHub. 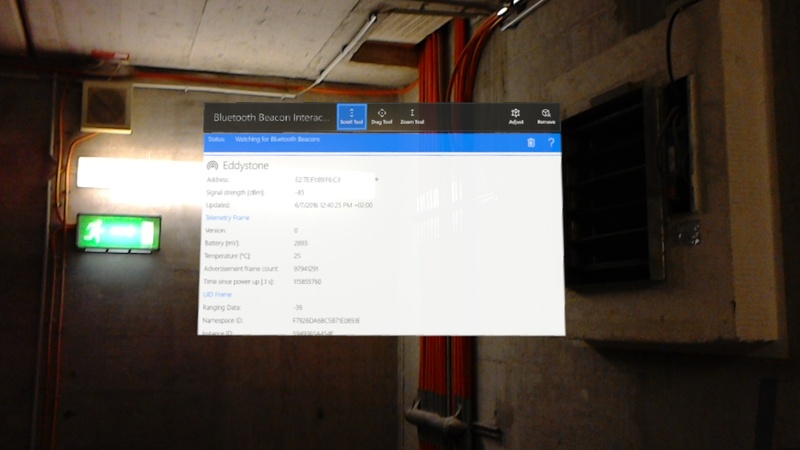 If you would like to scan your surroundings for Bluetooth Beacons and analyze their contents, you can directly download the app from the Windows 10 App Store.